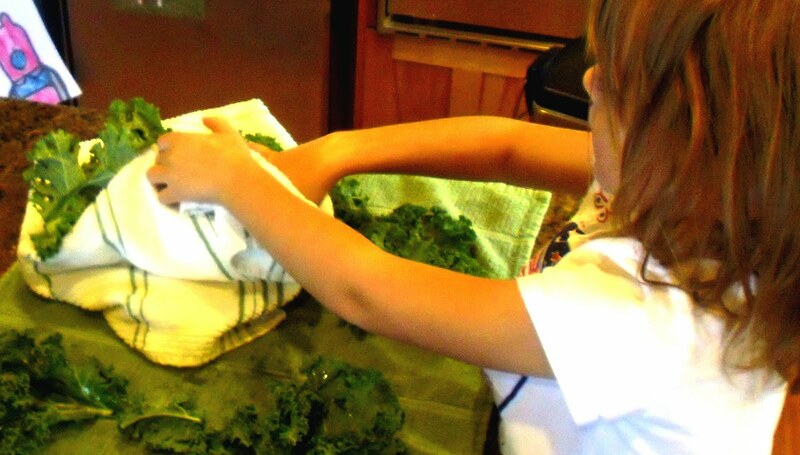 Hailey loves to help me in the kitchen. She would rather be cooking with me than doing just about anything else. When she does something to lose a privilege, not being able to “make a mixture” is worse than no TV or playing on mommy’s iPhone. Isn’t that so wonderful? Yeah, you know me better than that. As much as I preach “cook with your kids” and truly believe in its value, I really just want to be left alone with my pots and pans. So, I’ve had some growing up to do. The sense of accomplishment she feels is well worth the extra effort and I’m very proud that she, at the age of 4, knows the essential ingredients in salad dressing. 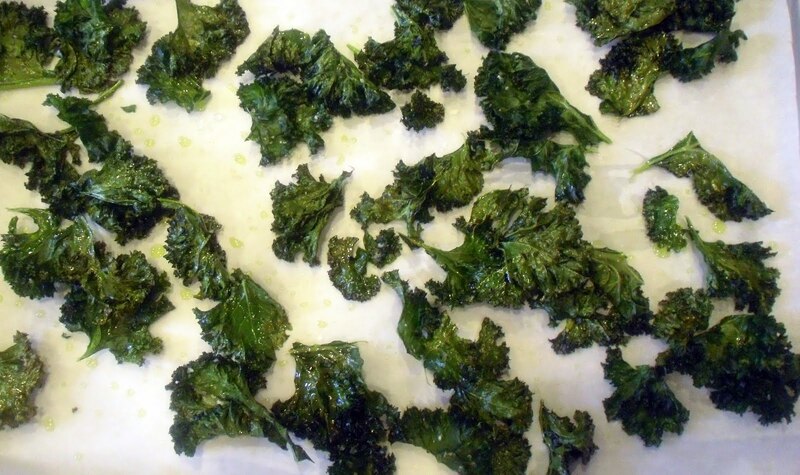 I’d been wanting to try kale chips for a while to see if they were as wonderful as everyone said they were. People tend to greatly exaggerate the awesomeness of food they consider a virtuous substitute for actually awesome tasting food. 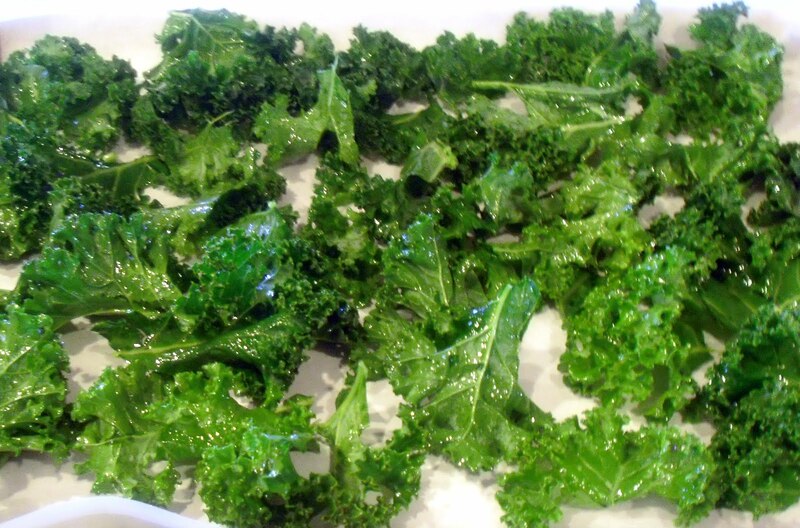 Kale, to me, was a garnish. I was never tempted to snack on it, even though I like most greens. Turns out, the chips were pretty good. 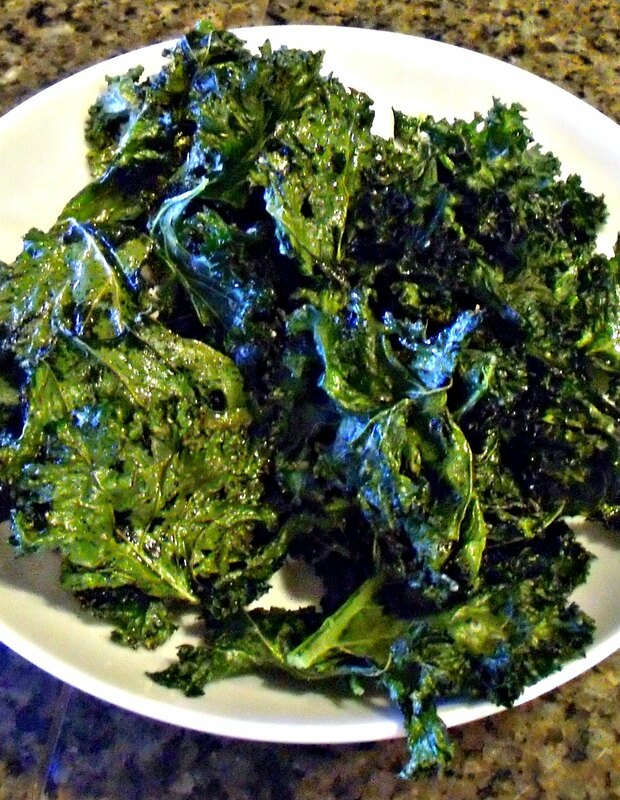 Very crispy and easy to mindlessly munch on. 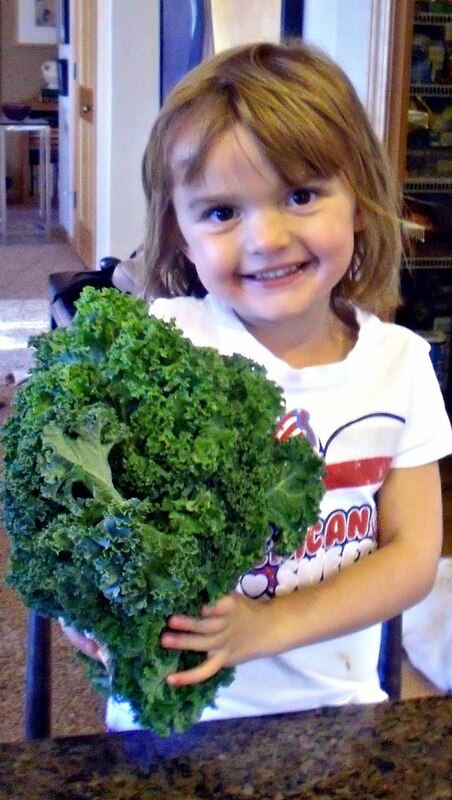 The girls were very excited about them and even ate a few, which is saying a lot, especially for green-phobic Ella. 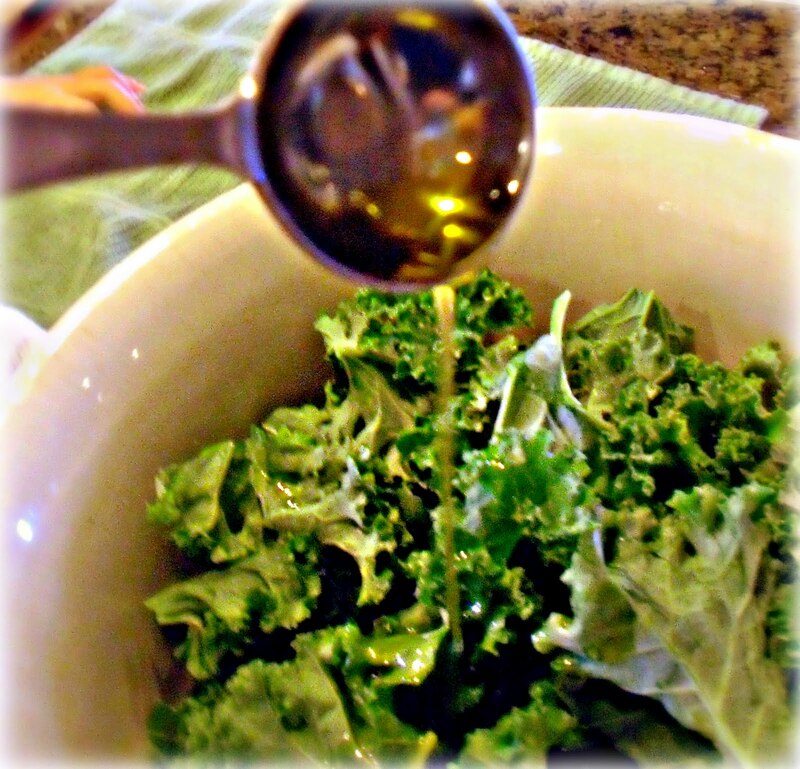 Kale is super nutritious and this is a great way to invite it into your diet. I’m not going to pretend they tasted as good as potato chips, though, I know you’re smarter than that. However, you can feel virtuous about eating them. @ 1 tsp of salt (Okay, that’s how much she should have added, I let her get a little carried away. They were pretty salty.). Then she and Ella tossed it all together. Ella likes to help as well, but on a very limited basis. She didn’t stick around for a photo. I think the Fresh Beat Band was on TV. 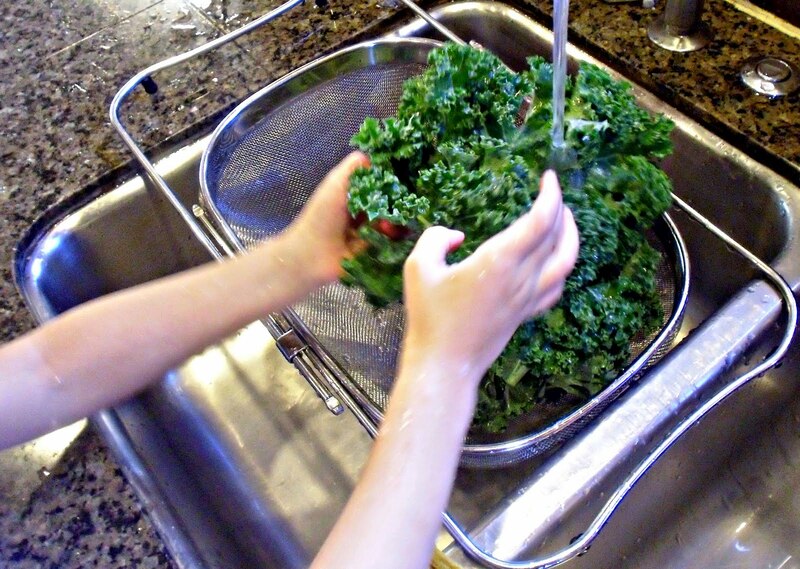 Hailey then spread the kale out on a sheet pan I had lined with parchment paper. I put the pan in a preheated 325-degree F oven for about 15-20 minutes. We let them cool for a few minutes then dug in. I really was impressed with how crispy they were. If they hadn’t been so salty, Bob and I may have eaten the whole bowl. I think the girls would have still stopped at a few, but, I doubt they would have even tried them if Hailey hadn’t made them herself (with a little help from Ella… oh, and mom).